I’ve talked a few times about how important having a standout demo is, but what I haven’t touched on yet are the misconceptions that actors often have about them. There are a number of commonly held beliefs about voice over demos that, unfortunately, just aren’t true. Here’s a list of some of these misguided intentions so you can avoid the mistakes that so many other voice actors make with their demos. Your demo should only include pieces that you were paid for. While it’s definitely a good idea to include samples of paid projects, they shouldn’t be the only pieces on your demo. You should also include samples that you’re very proud of or that you feel help define your professionally – even if you weren’t paid for them. You should have a variety of styles on your demo. Using your demo to showcase your range isn’t necessarily a bad thing, but be careful when mixing different styles and sounds. 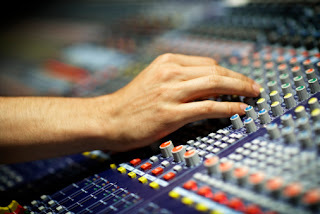 This can be confusing and off-putting for talent scouts or producers, who are usually looking for a particular sound. For example, if you’re hoping to land an audition for a narration piece, then your demo should include industrial samples rather than commercial bits. Your demo needs to be freshened up every year. Updating your demo periodically is absolutely something you should be doing, but it certainly doesn’t need to be done every year. Not only would this require time, money and effort to accomplish, chances are it’s completely unnecessary. Most quality demos will serve you well for three to four years, so unless your voice changes or you go a different direction professionally, don’t plan on updating every year. It’s okay to skimp on quality when you’re just starting out. Nope, not okay. If you’re telling yourself that your hodgepodge, chop shop demo is just temporary until you start landing the big gigs, then you’re fooling yourself. Agents and producers want the best, so a second rate demo isn’t going to cut it. Thank you, Lance... it's the Lance/Lance show!